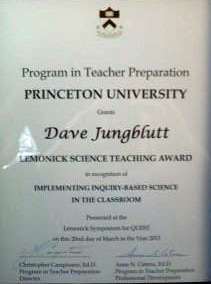 Lemonick Science Teaching Award: Dave Jungblut, Oakcrest High School in Mays Landing, NJ, received a $50 award for his lesson entitled, Water and Air Pollution. His students will research water and air pollution problems and develop a model or experiment to support their research. 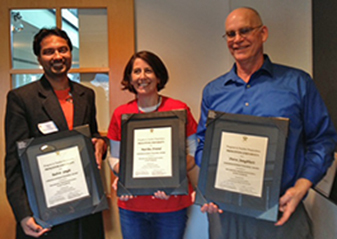 Dave will use the award money to fund the student projects.